Just a quick note to let you know I absolutely love the new body wash. I have extremely sensitive skin but it is wonderful for sensitive dry skin. Again another product I love and will be using. All you're products are so pure and clean and they work. Thank you for always being there to answer my questions and for giving me samples to try I appreciate it! Finally I have made time to send an email telling you how much I love Niko Organics. I have been meaning to do this for the longest time. I am not exaggerating when I say I had for decades been trying different facial products to find the right combination of cleanser, toner, moisturizer for my skin. Not sure how I stumbled on your products. I think I was using a brand situated next to Niko and started talking to you one day. I feel it has been a number of years now that I have been enjoying Niko Products. Needless to say I was sold right away and now have 6 of your facial products that I use faithfully each day. I have for decades always found my products to lack in making my skin feel fully hydrated and youthful looking. I tried so many in the market and always came up lacking. I was quite frustrated and really felt that I would never find the right product for my skin type. Which was dry skin… As least that is what I always thought. One product led to another and another and now I cannot imagine not using them all on my skin. My skin feels amazing, youthful, supple and never tight and dry. I cannot tell you how thrilled I am in how my skin feels daily no matter what season. 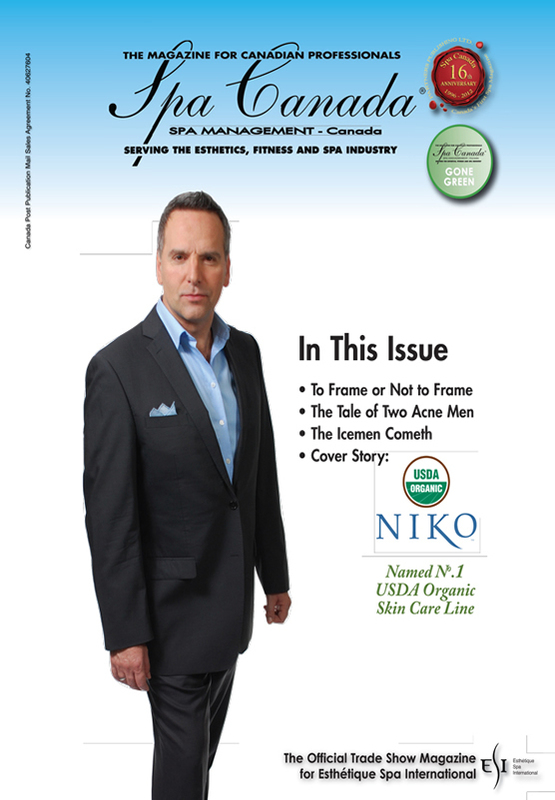 Love the products and Niko’s commitment to quality and organics. A friend bought me the Penta-C Serum last week and I loved it right away. The scent is incredible and fresh, and 2-3 drops is all I need to cover my face and neck and chest. The serum absorbs very quickly into my skin, so that I don't have to wait to apply my nighttime moisturizer. I will buy this product for myself when I run out. I really love it. I want to say thank you for making such a fantastic skin care line. For months I had been searching for something to hydrate my skin and keep it that way for more that just a few hours. I was really starting to get frustrated. After trying your Product, especially the C Serum and the Youth Serum I was so happy as my skin actually stayed hydrated and felt softer and plumper than it had in a very long time. I love this stuff! My first experience with Niko Organics was at Nature’s Emporium . Tina was there to help me choose some starter products. Eye creme and Sea Buckthorn Anti Aging Serum. It wasn’t long before I had all the products ! Niko has recently changed the formula in some of the products and they are better than ever. I love the Organic Kakadu Super C, the new Eye Creme and the Organic Ultra Sensitive Cream Cleanser. The one product I don’t have is the New Face Balm with Kakadu Super C. I am anxiously waiting for it. I have also used the Hair Products. Really clean and nice to use. I attended one of Niko’s Information Sessions. learned a lot about USDA certified. It was also nice to meet Niko in person. I was at Nature emporium in Newmarket ,Ontario, when I was approached by Tina a representative for Niko . I wasn't wearing makeup and she could probably tell my skin was in need of help, I had just finished my skin care routine i had been using from a spa (that I will not Name ) that had very harsh chemicals in it. I explained to her my skin story of acne and how hard it is for me to find products that work so she showed me the Kakadu Plum cream cleanser and she told me it would help with my acne and what not, so I ended up purchasing. I tried it and loved it, 5 star***** I went back a few days later and purchased some gifts sets they had (Kakado Plum Day and Night Cream + free lipstick) & (Sea-Buckthorn Youth Serum , Eye Firming Cream, Kelp Mask and Toner spray). I AM SO PLEASED !!! !My skin is the best it has ever been and I love the products because they are not harmful at all ! I am so thankful that Tina came up to me and showed me some of these products, I didn't feel forced to buy anything she suggested the cream cleanser and i decided to purchased the rest of the products based on the one she showed me! I highly recommend any of there products and I look forward to trying more !! Thank you Tina so much and NIKO please keep making these awesome,wonderful, harm free organic products. You have saved my skin!!! I was introduced to Niko Products by Tina, Representative at Nature’s Emporium, Newmarket, Ontario. I am in my early seventies and especially drawn to facial products that are Certified Organic and use high quality ingredients. I bought the whole line of products they have for your face and neck. I followed the steps in the order Tina set out for my sensitive skin. I could feel the product acting on my skin and leaving it soft and radiant which lasts the whole day. My skin is no longer dry using this routine. I look forward to trying some different Niko Products. Thank you Niko for an excellent product….My Rating 5 stars. Good Morning, I wanted to share my first experience with Niko products. 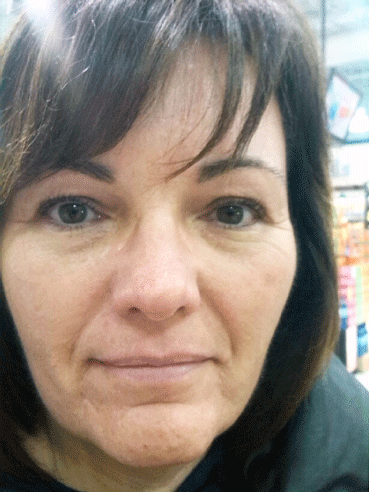 The representative for Niko applied the micro-hyaluronic serum to the area under one of my eyes and my daughter couldn't believe her eyes at the immediate difference it made and took a picture-that's the first photo. I still haven't finished my fist bottle of Micro-Hyaluronic Serum but I love the difference! I am the owner/founder of White Cedar Remedies and would like to share my personal testimonial with you. I have been using Nikos product (day cream) for only 10 days. My face feels rejeuvenated and less dry. I have been a sun worshipper all my life as well as a smoker (unfortunately). I find my skin to feel dry and a little like leather in texture. At the youn age of 45, I have tried many creams and homemade remedies on my face but no other product works like Nikos (day cream). I have yet to try the other products that Nikos offers, but, I will definitely try all of their other products, including night cream and more. Also, my wrinkles have disipated!! Thank you NIKOS....its about time!!!!!! My face feels grrrrrreat!!!" Hi there, My name's Adrienne and I work at Lifestyle Market's in Victoria, BC. I've been loving the Niko products I've tried so far, and recommend them as often as I can. A short while ago, we had one of your rep's doing a demo at our store, and we were talking about how much I loved the Citrus Revive from what I've tried from our in store tester. I am such a huge fan of your skin care line. I use the eye cream, sea -buckthorn serum and the hyaluronic acid in combination and cannot believe how good my skin looks. I am just over 40 years old and my friends keep asking what I am doing to look so good. I send them all to your line! I just restocked on your products from Nature's Emporium. Thanks again! at the The Natural Food Pantry Billings Bridge. reaches many customers and sells a lot of product which means repeat business for us. I have very sensitive skin and dry skin around the eyes. I was looking for products that were natural and without any perfumes that would irritate my allergies. One day when I was at Nature’s Emporium in Newmarket, Niko himself was there demonstrating his products. I tried the Kakadu Plum sample kit and fell in love with it. All organic, no perfumes. The products feel great on the skin and I have confidence that I am using something healthy. I especially loved the moisturizing combination of sea-buckthorn serum, followed by kakadu plum extra-firming eye cream. It keeps my eyes moisturzed all day! I recently met a lovely lady who did a demo of your skincare line at Planet Organic in Halifax last week. Although I didn't purchase anything that day, I did take a business card and added my name to your email address for a catalogue. I went back this past Monday because I decided to try the line and bought the cleanser, toner, day moisturizer and was thrilled to receive one of the last 2 travel pouches as a gift. I noticed a difference in my skin from the first use - soft and hydrated. I look forward to picking up the night time moisturizer as Planet Organic was all out!!! When I started working as the Natural Living manager with the chain Planet Organic I was not familiar with Niko products. Our Store Manager asked me when I first started “What do you think of this line? It’s our best seller.” As a person with some experience in the Salon & Spa industry I was intrigued and started my investigation. We got a training from Niko, the owner of the line, himself in which he passionately explained his commitment to product performance and organic raw ingredients. We recievd the best demo support I have ever experienced with this line. Customers are so delighted with their mini treatment experience often they purchase the entire line. I can only sing praise for this product and the support I get from Niko for this store. I recommend this line to any retailer that wants to commit to quality product and boost sales. I just returned home from the trade show and wanted to tell you how extremely impressed I am with your skincare and makeup products. and has a social conscience. It touched my heart to read about your program for Alzheimer sufferers as my mother is also afflicted and I have been caring for her daily for the past few years. 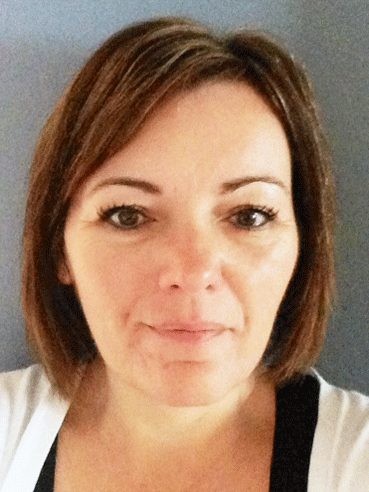 My name is Elizabeth ,I am a Certified Esthetician and have been in the skincare industry for the past 25 years. 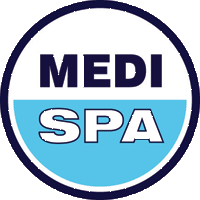 I used to own a Spa many years ago but due to a car accident which took me two years to recover fully, I had to close my spa and was subsequently financially devastated. I have been an esthetics instructor now for 12 years and still have a small mobile spa business. I am very interested in your product line and am also looking to further my career as a trainer or educator. Having worked with many different product lines as trainer, sales motivator,and marketing consultant, I am looking for a company that would utilize my experience in the pursuit of increased success. Natural ingredients and product knowledge have been an great interest of mine since I was thirteen and started making my own products from fruits, vegetables , milk, honey and oatmeal. I am still constantly reading and researching, trying to stay current on the trends and new ingredient technology which is ever expanding. However, I have always held the belief that the closer a product is to its natural state the more responsive the skin with be. It is refreshing to listen to you speak so passionately about your product line, and I am very interested in learning more about your line and your company. I am an esthetician and recently tried this product on my hands during a NIKO demonstration. I am still feeling the smoothing effects days later after only one short demo! I love the idea of the powdered formulation, no need to buy water in my products. This line is about to explode in the industry. Get some now! Exquisite products, extremely professional and well presented company. Way to go NIKO! Love this wonderful duo. I am having impressive results with this and without any eye irritation. Thank you Niko!!! The best hair serum I've used to date. I've used this hair serum when I first discovered it years ago. I love how it helps my dry ends in between cuts. It's never weighed my hair down and I even rub the remaining product into my fingers and love the feeling. You only need to try it once to know how well it works the minute you put it on. Love it, love it, love it!!! I bought 3 of your amazing products about a month ago. I am very happy with the results and my skin is loving them - thank you! I received my products yesterday and used it for the first time last night--and again this morning with all of the appropriate items. I LOVE it! My skin felt clean--I really like the gentle exfoliating properties. Then, the oil and the creams were almost magical. I described it to Sal as having a very light feeling.. almost like having nothing there. However, at the same time, it made my skin feel--and I had to think of the best, correct words--my skin felt "protected and soothed". I was surprised particularly with both the day and night creams. They come out looking like they would produce a thick feeling on your skin; yet, when you put them on, they almost glide on like a gel-liquid.. Very unusual feeling. In trying to describe it in terms Sal might be more familiar with... I said it was almost like having a chocolate souffle put in front of you. It looks like it would be a heavy, dense cake, yet when you eat it, it melts like a cloud in your mouth. We'd be delighted to share your products with our audience. I LOVE MY NIKO MAKEUP AND EYE GEL/CREAM! I try at least 75% of facial skin care and cosmetics out there because I am in the business of spa and just because I love trying new products. Niko products are BY FAR the best I've ever used on my skin. The foundation's texture and tone are amazing as well as their lipsticks. The eye cream is something I actually look forward to use because I actually feel and see the moisture it brings around my eye. I've never seen that with any eye product. I recommend this line to everyone!!!!!! I am an esthetician and confessed skin care product junkie. I'm so excited to have found Niko Cosmetics' organic skin care line! it is the only line who's finished products are USDA Certified Organic. My skin and I are loving these powdered formulas for several reasons. Being in powder form means that there is no need for preservatives and when you add (your own) water it makes a fantastic gentle scrub. This allows for gentle daily exfoliation, stimulating circulation which brings nutrients to the skin from within. It also provides a perfectly polished surface that glows! The line supplies superior antioxidant protection and is a great value. Again, the powdered formulas mean that you are purchasing only performance ingredients, not water, fillers and preservatives. The 4oz cleansers, exfoliants and masks actually become much more than that as you add your own water to the mixture. This line is innovative and wonderfully effective. Niko, you're a genius! I purchased the sample pack of your products at the ESI show in Toronto. I also heard Niko speak on the Sunday afternoon. He has amazing passion and energy. I have tried all of the products that were in my sample pack and am amazed my them! I have combination skin that breaks out VERY easily but your products made my skin feel amazing. Even if I am unable to bring your products into my spa I will certainly be using them on myself! I am so thrilled. It was in fact an eye cream that made me look years younger. One eye was done and I swear it lasted days and was noticeable. I have been trying to find it ever since. Could you tell me how much it is and how to order? Thanks for responding to my email. Thank you Niko for creating an excellent product! I've battled with acne issues for most of my life and I've been on almost every acne medication there is and I feel as though I've seen every dermatologist there is to see over the past 25 years. I'm so thankful that my publicist and marketing director recommended that I try your product. After using your cleanser for only two days my face began to take a more beautiful life of its own. I've never seen such a more beautiful glow and pureness in my skin and complexion. I've received so many compliments and I've only been using your product for 1 month. Now I can look into the camera during every show or during every photo shoot for my magazine and feel secure and proud of how I feel not only on the inside, but how I look on the outside. Thanks again for taking the time to care enough to create a phenomenal product for women!